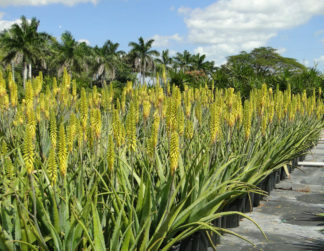 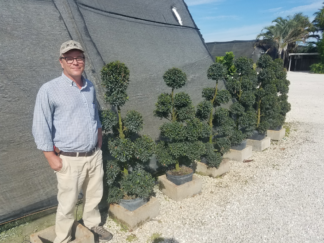 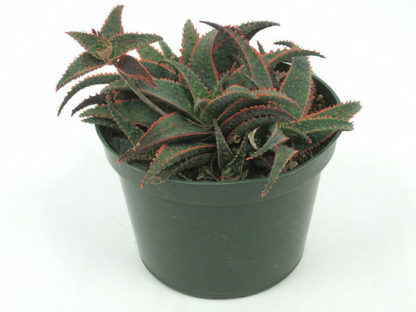 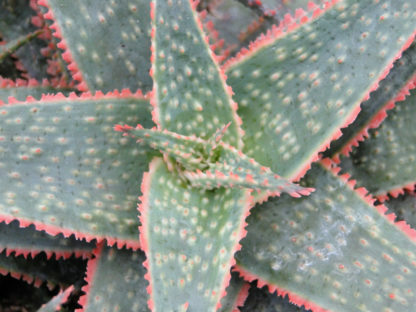 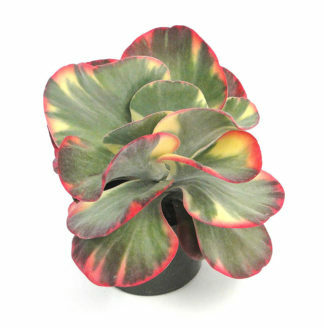 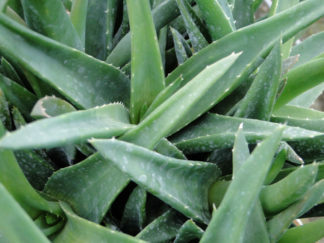 This small aloe produces rosettes that grows to less than 6″ tall with 6 inch long deep green lance shaped leaves that have vibrant dark raised red markings, some soft but spinelike, down the center and along the leaf margin. Blooms in autumn with bright pinkish red flowers. 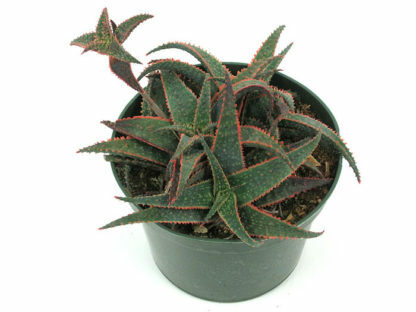 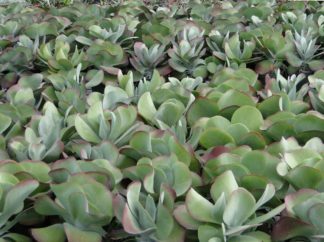 Occasionally will produce small plantlets on bloom stems.